Xavier - A Ferret Abroad is an international group that raises funds to make emergency grants to ferret shelters stricken by canine distemper (CD) and to help shelters pay for CD vaccinations for the ferrets in their facility. This painful disease kills over 99% of infected ferrets and shelters are the most vulnerable for a potential outbreak due to the checkered or non-existent vaccination history of the animals they serve. As an immediate payment to a veterinarian or supplier to pay for booster vaccinations, medical expenses and necessary supplies and services needed in the event of a suspected or medically confirmed CD outbreak. 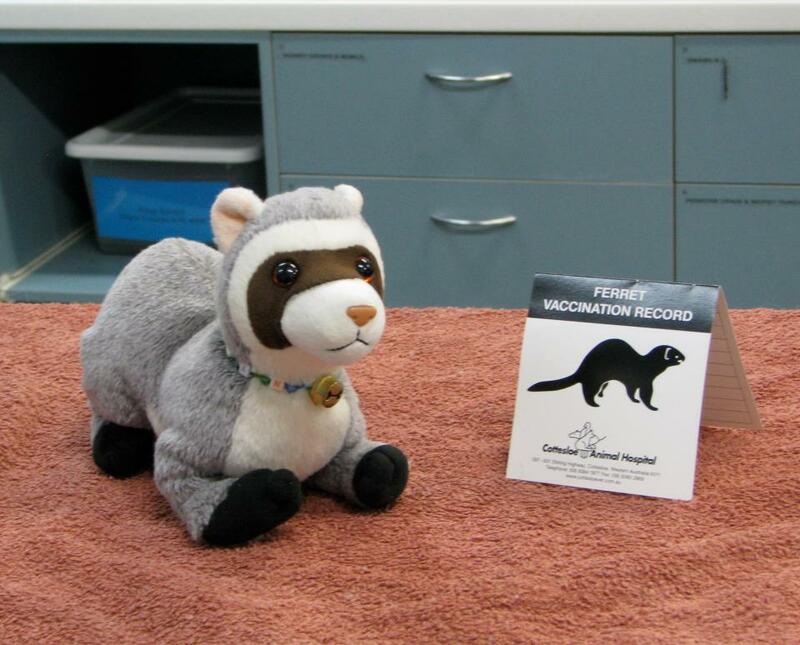 As a support grant to assist in paying a veterinarian to vaccinate the ferrets within the shelter. Vaccinations came become very costly to a ferret shelter as some ferrets with an unknown vaccination history require 2 or 3 shots initially to protect against the disease. Any not-for-profit, non-breeding pet domestic ferret shelter located anywhere in the world irrespective of race, creed or political persuasion of the facility is eligible for support from this fund. Funds are raised in several ways: primarily via the group's activities on Facebook through the benefit sales of plush ferrets dressed by volunteers; and by auctions of donated goods. The Xavier Fund operates under the fiscal sponsorship of the Ferret Association of Connecticut, Inc. (FACT) - a United States registered 501(c) 3 non-profit charity. All funds are securely held until needed in a separate bank account. FACT has been in existence since January, 1991 and is managed by an independent governing board of directors. Through the use of a fiscal sponsorship arrangement, contributions to the fund are considered charitable donations. Donations to the fund by US citizens may be deductible on the donor's income tax return to the extent allowed by law. When funds are granted, they are sent directly to the shelter if the shelter is a registered non-profit. Payments from the fund to non-registered shelters are made directly to the service or product supplier, for example, the veterinarian. This helps ensure funds are used appropriately for the benefit of the ferrets. On Facebook, the Xavier group is administered by a group of dedicated ferret enthusiasts with an extensive background in animal welfare and sheltering. All volunteer their time and expertise to the daily operation of the fund - by arranging and managing the traveling ferrets, fulfilling orders, recognizing contributions, monitoring the Facebook pages; and shipping store orders. We also have several volunteers who help design and dress the plush ferrets.